The roads turn to clay and vehicles stop in their tracks. 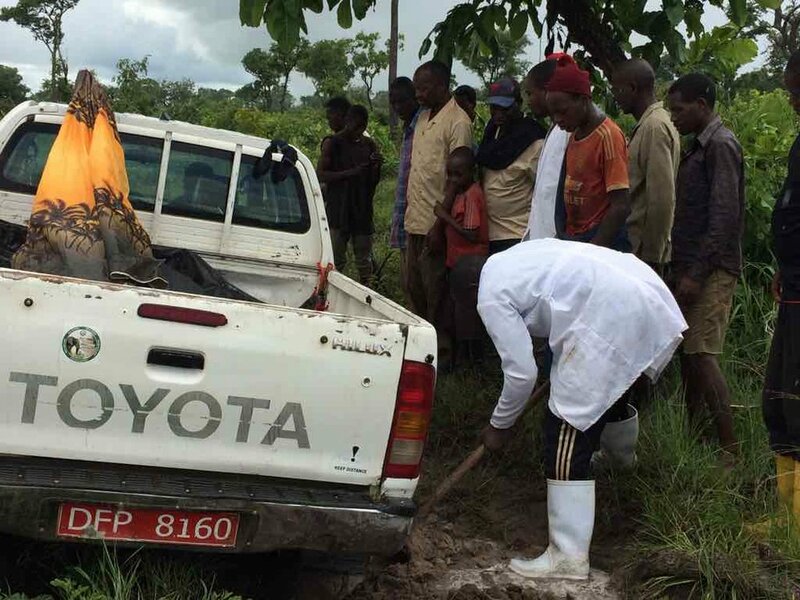 Sometimes you just need a little help from friends, in this case some of our pastoralist community members, always willing to lend a hand to a HiLux in need of some shovel work. We are getting some great updates via WhatsApp lately, this time from Goodluck and the livestock sampling team, so stay tuned for more One Health in action! Staying dry and stylish, the dandy Dr. Goodluck Paul and friends.